28:17 the house of God The Hebrew phrase used here, beth elohim, is typically used of a temple. Temples were both divine abodes and places where divine activity, as it pertained to humanity, could be witnessed or experienced. 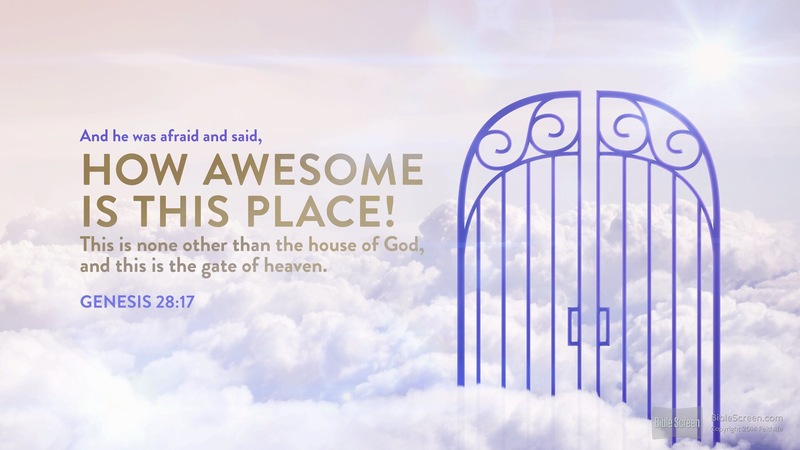 the gate of heaven The stairway led to God’s abode, the heavens, where divine administration of the affairs of heaven and earth were conducted. 28:17 he was afraid. Worshipful fear in God’s presence is appropriate (Ex. 3:6; 19:16; Ps. 2:11). This entry was posted in Daily Devotional Guide, Verse of the day on February 12, 2017 by Truth2Freedom. Let us lay aside every weight, and the sin which so easily ensnares us, and let us run with endurance the race that is set before us. Whenever we excuse our sin, we are blaming God. Adam did that when God questioned Him about eating the forbidden fruit. He answered, “The woman whom You gave to be with me, she gave me of the tree, and I ate” (Gen. 3:12). Adam did not accept responsibility for his sin but blamed God, who had given Eve to him. Sin is never God’s fault, nor is it the fault of a person or circumstance that God brings into our lives. Excusing sin impugns God for something that is our fault alone. If He chooses to chasten us, we deserve it. That’s why confession of sin is essential to spiritual growth. When you openly face the reality of your sin and confess it, you have less dead weight to drag you down in the process of growth. As today’s verse indicates, your growth will increase as the weight of sin drops off through confession. God has unlimited power and ultimate control over everything. God can do anything effortlessly. It is no more difficult for Him to create a universe than it is for Him to make a butterfly. We get tired when we work, but God’s infinite power never lessens: “The creator of the ends of the earth does not become weary or tired” (Isa. 40:28). Not only does God have unlimited power but also the authority to use it. “Our God is in the heavens; He does whatever He pleases” (Ps. 115:3). But God’s power, authority, and will are in harmony with His nature. He cannot sin, neither can He accept impenitent sinners. Such actions would contradict His holiness. People often question what God does because they don’t understand that He can do anything He wants. They ask, “Why did God do that?” I’ve often replied, “Because He wanted to.” He showed His sovereignty—His ultimate control of everything—in showing mercy to some like Isaac and Jacob, while hardening the hearts of others like Pharaoh (Rom. 9:6–21). To those who object to God’s right to control such things, Paul said, “Who are you, O man, who answers back to God? The thing molded will not say to the molder, ‘Why did you make me like this,’ will it? Or does not the potter have a right over the clay … ?” (vv. 20–21). Never question God’s use of His power. He is in control, and “The Lord is righteous in all His ways, and kind in all His deeds” (Ps. 145:17). We can trust that whatever He does, it’s for the best. Suggestions for Prayer: Praise God for His infinite power and sovereignty. For Further Study: Read Isaiah 40:21–31. How has God demonstrated His power? ✧ How has He demonstrated His sovereignty? ✧ What comfort should that bring to you? Why the Priority of Humility? Until we humble ourselves to recognize our own spiritual poverty and our need of Christ, we cannot see and experience His gracious, saving riches. Jesus said of the contrite tax collector, “I tell you, this man went to his house justified rather than the other [the Pharisee]; for everyone who exalts himself will be humbled, but he who humbles himself will be exalted” (Luke 18:14). Search me, O God…try me, and know my thoughts. If God knows that your intention is to worship Him with every part of your being, He has promised to cooperate with you. On His side is the love and grace, the promises and the atonement, the constant help and the presence of the Holy Spirit. On your side there is determination, seeking, yielding, believing. Your heart becomes a chamber, a sanctuary, a shrine in which there may be continuous, unbroken fellowship and communion with God. Your worship rises to God moment by moment! We have all found that God will not dwell in spiteful and proud and selfish thoughts. He treasures our pure and loving thoughts, our meek and charitable and kindly thoughts. They are the thoughts like His own! As God dwells in your thoughts, you will be worshiping—and God will be accepting. He will be smelling the incense of your high intentions even when the cares of life are intense and there is activity all around you. This leaves us no argument. We know what God wants us to be. He wants us to be worshipers. Lord, I worship You this morning. I look forward to our fellowship throughout the busy activities of this day. “ . . in view of your participation in the gospel from the first day until now” (Phil. 1:5). In recent years the Greek word koinōnia has become familiar to many Christians as the New Testament word for “fellowship.” However, it is also translated “partnership” and “participation.” In Philippians 1:5, Paul uses it to emphasize the participation of the Philippians in common ministry goals. Romans 12:13 gives one aspect of that partnership and participation: monetary contributions. That’s one aspect of fellowship that the Philippian church eagerly shared with Paul. As he says in Philippians 4:15–16, “At the first preaching of the gospel, after I departed from Macedonia, no church shared with me in the matter of giving and receiving but you alone; for even in Thessalonica you sent a gift more than once for my needs.” They were partners in his ministry because their financial support made it possible for him to preach the gospel more effectively. The Philippians knew that Paul carried a tremendous burden in his heart for all the churches. In listing many of the trials he endured as an apostle, he added, “Apart from such external things, there is the daily pressure upon me of concern for all the churches” (2 Cor. 11:28). The Philippian church eased that burden somewhat by being committed to Paul, to his teaching, and to godly living. That brought great joy to him. How about you? Do your leaders derive encouragement and joy from your participation in the gospel? Remember, you share in a sacred partnership with Christ and your fellow-Christians in the advancement of the gospel, just as the Philippians shared a partnership with Paul. Rejoice in that privilege, and make the most of it today. Suggestions for Prayer: Thank the Lord for the Christian fellowship you enjoy. ✧ Ask for wisdom on how you might advance the gospel more effectively. ✧ Always seek to ease the burden of your spiritual leaders by faithfully participating in the ministry of your church as God has gifted you. For Further Study: Read Ephesians 4:11–16. ✧ What is the goal of Christian ministry? ✧ What is the role of a pastor/teacher in achieving that goal? ✧ What is your role (see also Rom. 12:6–8; 1 Cor. 12:4–11; 1 Peter 4:10–11)? …For the devil sinneth from the beginning. For this purpose the Son of God was manifested, that he might destroy the works of the devil. I have observed among spiritual persons in the Christian fellowship a tendency either to ignore the devil altogether or to make too much of him. There is in the world an enemy whom we dare not ignore. We see him first in the third chapter of Genesis and last in the twentieth of Revelation, which is to say that he was present at the beginning of human history and will be there at its earthly close. This enemy is not a creation of religious fancy, not a mere personification of evil for convenience, but a being as real as man himself. The Bible attributes to him qualities of personality too detailed to be figurative, and reveals him speaking and acting in situations hard and practical and far removed from the poetic imagination. He is said to be a liar, a deceiver and a murderer who achieves his ends by guile and trickery. While he is not omnipresent (omnipresence being an attribute of God alone) he is ubiquitous, which for his purpose amounts to the same thing. Satan hates God for His own sake, and everything that is dear to God he hates for the very reason that God loves it. Because man was made in God’s image the hatred with which Satan regards him is particularly malevolent, and since the Christian is doubly dear to God he is hated by the powers of darkness with an aggravated fury. In view of this, it cannot be less than folly for us Christians to disregard the reality and presence of such an enemy. MacArthur, J. (2001). Truth for today : a daily touch of God’s grace (p. 55). Nashville, Tenn.: J. Countryman. MacArthur, J. (2008). 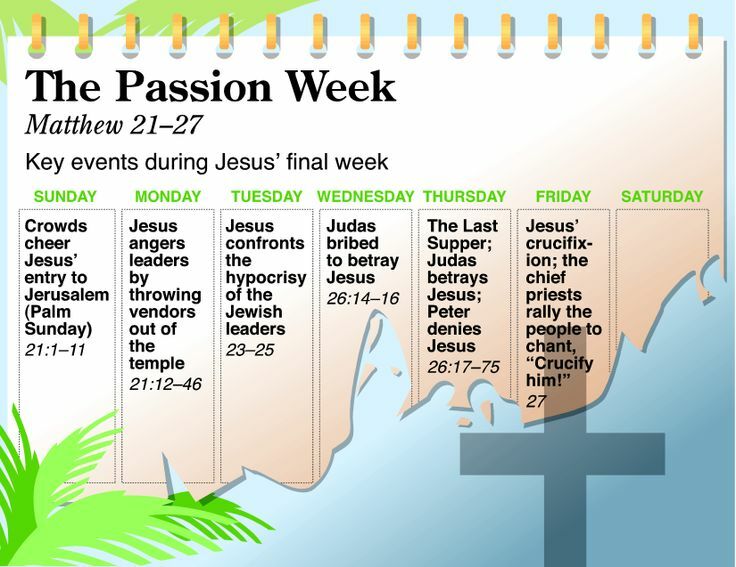 Daily readings from the life of Christ (p. 51). Chicago: Moody Publishers. MacArthur, J. F., Jr. (1993). Drawing Near—Daily Readings for a Deeper Faith (p. 55). Wheaton, IL: Crossway Books. This entry was posted in Daily Devotional Guide on February 12, 2017 by Truth2Freedom.